Pixies make the rain go away!! It is rainy, gray, and chilly today! Aaron is in NYC..doing his "urban wordsmithing" and I was hoping to do some personal crafting today! The weather is really yucky...and I am really at a snail's pace today! I have my "to do list" and my "what I'd love to do list". I am hoping I do not settle on my "to do list"
We decided about a month ago...well..I decided about a month ago that we really needed a change here in the apt...which is our life!..We spend more hours here than you can even imagine....our dining room is at all times full of cupcake signs....paint bottles...glitter ...you name it! We have lived in an all Pink, Black, and Cream apt/world for over 6 years....I wanted a change!...Since the accident...and having the store and all that...it is just such a reminder of the past. I thought we could return to our roots....while holding on to the light hearted candy feel we have now.We had the all white/sepia apartment for years...loved it..but it seemed too serious....then went all out Cupcakes/Ooh la la (which I do still Love! )....so If we could meet somewhere in the middle ..I'd be a very happy girl! We indeed went out and got paint...a pale mocha...reminds me of the pages of vintage baking books...waffle cones...mocha frosting...brown paper packages...etc...I think it will be a great backdrop to some candy colored yet aged collections. We shall see! !...I do get quite anxious when I open these cans of worms!! haha...I have SOME track record! My Decorating muse right now is the cover of the current "PORTALS" It was just the perfect balance of everything....I cannot wait to tie in that vintagey blue! 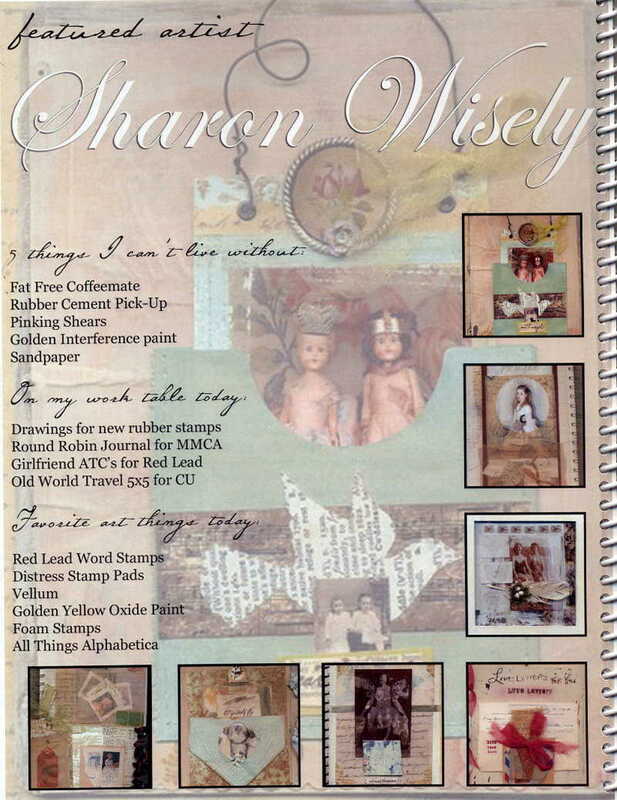 !I have stacks of inspiration including print outs from the AMAZING Pam Garrison's blog! !She just floors me!! What style!! !..what a color palette! LOVE HER! I hope to make her flag banners soon! !..They are just such eye candy!! I'd post pics of her stuff...but I'm not sure how that works...I guess I will email her and ask if it is ok?!! And if it is a go...I will be sure to show you all of her magical work! !